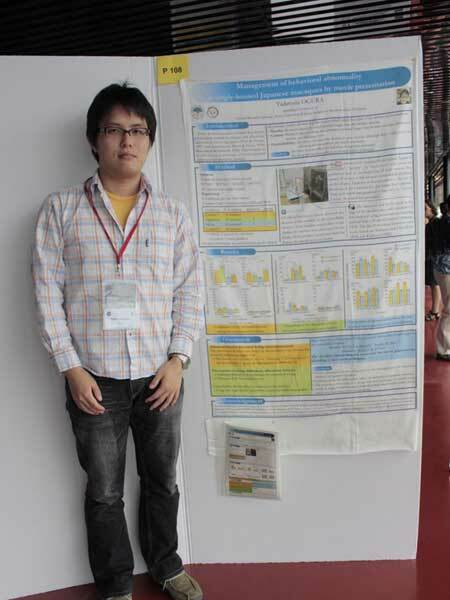 I had a poster presentation about the evaluation of an environmental enrichment technique using movie presentation and the investigation of environmental factors required by singly housed Japanese macaques on the 44th Conference of the International Society for Applied Ethology in Uppsala, Sweden. The participants in the conference were mainly the researchers studying welfare for domestic animals. I could get the important information about welfare research from new standpoints. After the conference, I visited three zoos such as Kolmarden Zoo in Sweden, Apenheul in Netherland, and Hagenbeck Tierpark in Germany. I collected the information about management of group of captive primates in zoos and activities of care for animal welfare. 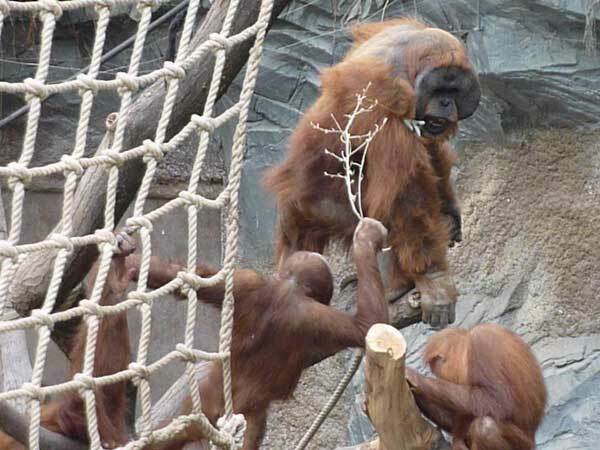 In all zoos, the groups of great apes were well managed. They were kept in the groups which consist of more individuals than those in Japan. Their reproduction succeeded. It was a standard situation to keep orangutans in groups. It was a huge difference between Europe and Japan because they were normally kept alone in Japanese zoos. In Apenheul, small primates were kept in free-ranging groups. 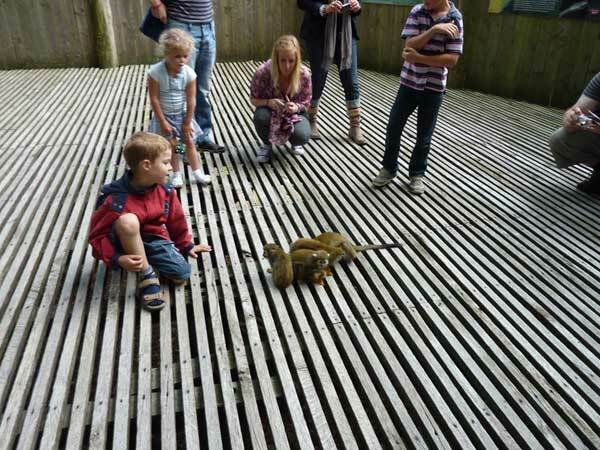 In Hagenbeck Tierpark, visitors were allowed to feed animals freely. These were very surprising and well-organized system.